Amopé Survey done by Angus Reid reveals Canadian women are far less confident about their feet and toes than men. In order to help Canadian women to show their feet some love, Amopé has a complete line of foot and nail care products that are designed to inspire and help women look and feel confident with every step. Alyson Murphy the Brand Manager of Personal Care at RB Canada says, the survey shows having beautiful, well cared feet and toenails makes a huge difference in confidence. The refills can be bought separately. The full Amopé product line is available at major Canadian retailers including Shoppers Drug Mart, Rexall, Loblaws, Jean Coutu, Uniprix, Familiprix and Walmart Quebec. 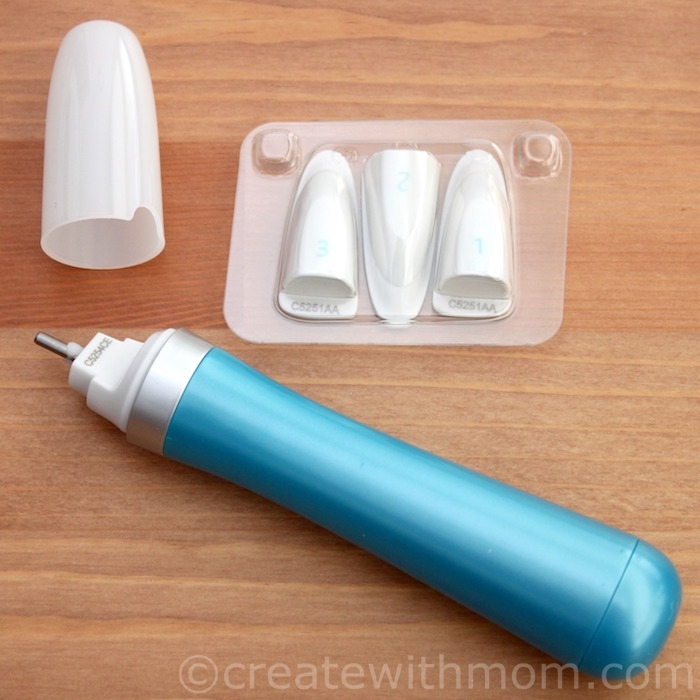 Amope, Pedi Perfect Nail Care System is perfect to get beautiful nails at home without going to the spa or nail salons. It's compact, light and files, buffs and shines nails! 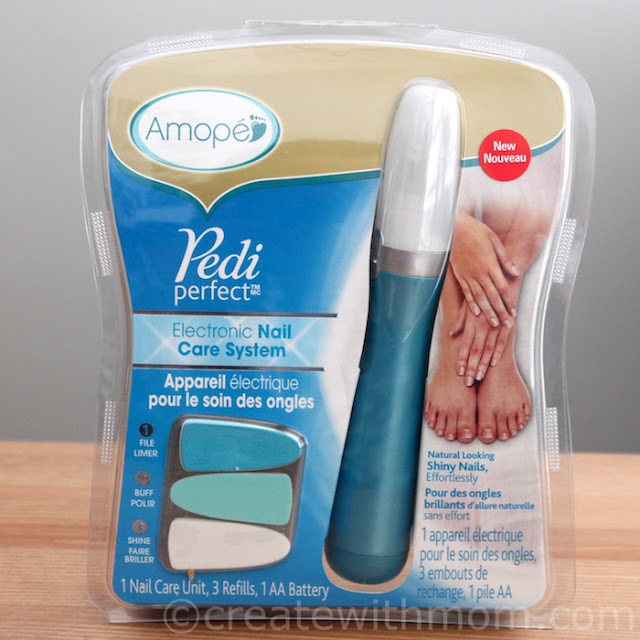 If you are in Canada and would like to win a $60 value Amope, Pedi Perfect Nail Care System enter the giveaway through the rafflecopter before March 5th. Please leave comments and follow my social media links to be eligible to win. I live in Ontario Canada and I would love to win because my feet need all the care in the world!! they are hideous no lie! I live in Ontario. I'd love to win because I get such nasty fet, especially in the summer. It's the sacrifice you make for cute shoes! I'd like to win because my dry feet could really use some help. I live in manitoba and I want to win because my feet really need this! I'm in Ontario and my feet could use this!! I live in Ontario and my feet totally need this! I live in NB and I would love to give this to my mom who could definitely use it. I live in ON, and I'd love to win as I have super dry feet. I live in Nova Scotia. I would love to win because I love to do pedicures with my friends and daughters and this would be perfect for beautiful nails. I would like to win because I don't like my feet - they need a lot of work! I live in Ontario. I'd like to win and pamper myself for a change. I am from Ontario and I could sure use this on my poor feet that never get the attention they deserve. I live in Alberta. I would love to win this for my Mom. She's been wanting to try one out. Thanks for the chance. I'm in BC and I'd love to win this because my hands have so much arthritis in them and this tool would make taking care of my nails so much easier for me! I live in Alberta and I would love to win because my nails need all the help they could get. I can afford to get my nails done anymore! I like in Newfoundland and I love to win to use it on my feet. I love in Ontario and I would love to try it out. Seems like a great product. I live in NL. I would love to try this to get my feet in shape for the summer!! I live in Ontario and my feet need some TLC . I am in Ontario. I would love to win this as my feet really could do with some help! I am in Ontario and would love to win this. I have been wanting to try it! I live in Ontario and want to win to have beautiful nails! Im in BC and i want nice nails done at home! I live in Ontario, I would love to win to pamper my feet! i live in BC. Would be great to pamper my feet with! I'm in Alberta and I would love to win to keep my nails in tip top shape! I live in Ontario. I want clean feet! I would love to win this because I would love to prepare for the summer and have my feet ready! I live in Ontario. I'd love to win this so I can have pretty feet this spring and summer. I live in Ontario and I would LOVE to win this prize to get my feet ready to wear sandals in the spring! I live in Ontario and I would like this because I never get my nails done but would like to take care of them. I live in BC. I'd love to win this because it's not in my budget to get to the salon very often and it looks like fun. I live in Nova Scotia, and I'd like to win this to pamper myself. I live in NL. I'd love to win this to take care of my feet. I live in Alberta. I would love to win this as I still do my own nails. I love gardening too much to get acrylic nails.